You'll be £8.75 closer to your next £10.00 credit when you purchase Forgotten Songs and Stories of the Sea. What's this? Order within the next 6 hours, 17 minutes to get your order processed the next working day! Stirring tales of heroism at sea have been engrained in the annals of maritime history since time immemorial. Christopher Columbus’s discovery of the New World, Queen Elizabeth I’s defeat of the Spanish Armada, and Horatio Nelson’s victory at Trafalgar are just some of Britain’s most memorable naval triumphs. But what about the lesser-known tales from our seafaring past? The Victorian who invented a swimming machine in order to cross the English Channel; the capture of a ‘real-life’ mermaid; the lost pirate treasure of Alborán; the ghost of a murdered sailor who still haunts the streets of Portsmouth; and the daring explorers who vanished into the blue yonder, leaving behind nothing but a cryptic message in a champagne bottle – these are just some of our quirky naval stories that have been chronicled in verse and archived in newspaper clippings, and forgotten with the passage of time. 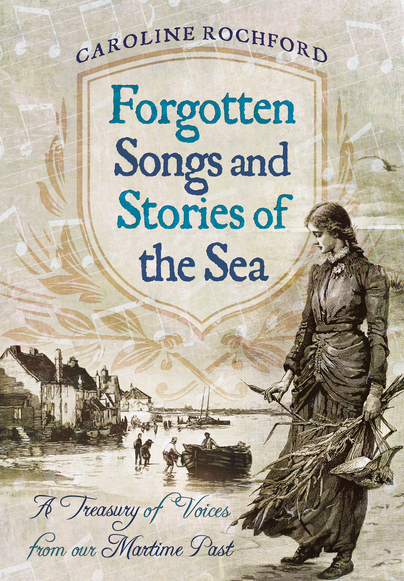 Historian and genealogist Caroline Rochford has compiled 200 traditional songs and stories into this book, which offers an exciting, entertaining and eye-opening glimpse into our long lost maritime past. So all in all, this collection is an entertaining and curiosity-arousing read. An exciting, entertaining and eye-opening glimpse into our long lost maritime past. A prime example of the brilliance and the eccentricity of the men who made it their business to explore the high seas. For me, the most interesting section covered the Victorians, but the entire book is a delight from start to finish! Great books for sailors, would-be-sailors and those who love the romance of the sea. These books are not just for Christmas. 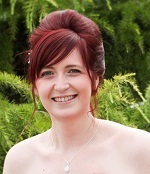 Caroline Rochford, the wife of Paddy’s grandson, is a Yorkshire-born author, having written Great Victorian Inventions (2014) and Great Victorian Discoveries (2015), both published by Amberley. She and her historian husband, Michael J. Rochford, are directors of the genealogy company Heir Line Ltd (www.heir-line.co.uk), and both were fascinated to receive Paddy’s long forgotten papers in 2010.